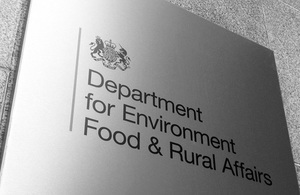 Dr Clive Elphick has been appointed to the Board of the Environment Agency by Environment Secretary Caroline Spelman. Dr Ruth Hall’s second term as an EA Board member has also been extended to 31 March 2013. Dr Elphick, who joins the EA Board today, will receive £21,002 pro rata for 2011/12, based on 5 working days per month. As part of his portfolio, Dr Elphick will be the lead Board member for the Environment Agency North West region. Dr Hall’s term has been extended to enable her to continue to represent the Environment Agency by remaining involved with the Welsh Government programme which is looking into the potential for creating a single environment body. Dr Hall will also continue with her duties as a EA Board member responsible to the Secretary of State. On re-appointment she will receive £12,602 pro rata for 2011/12, based on working 3 days per month. The Environment Agency is a Non-Departmental Public Body, set up under the Environment Act 1995 to take an integrated approach to environmental protection and enhancement inEngland and Wales. It has major responsibilities in flood management, water resources and quality, climate change, land quality, chemicals, pollution prevention and control, waste, conservation and biodiversity, fisheries conservation, air quality and navigation. These appointments have been made by the Secretary of State in conjunction with the Welsh Government. They comply with the code issued by the Independent Office for the Commissioner for Public Appointments. Clive is a non-executive director of the Northwest Regional Development Agency and of the Northern Ireland Authority for Utility Regulation. He is a member of the Competition Appeal Tribunal. Clive is also a Trustee of the Lancashire Wildlife Trust, a senior adviser to Cambridge Economic Policy Associates and a non-executive director of several SMEs. He was formerly a Managing Director at United Utilities Group plc, Chairman of the CBI for the North West of England and a non-executive director for the Department for Culture, Media and Sport. He previously worked for ICI plc and Deloitte. Dr Elphick has not declared any party political activity in the last five years. He ran unsuccessfully as an independent candidate for the parish of Bretherton in Lancashire in the election on 5 May 2011. Dr Ruth Hall CB, who is medically qualified and specialised in Environmental Public Health, was formerly Chief Medical Officer for Wales and member of the Medical Research Council. A Fellow of the Royal College of Physicians and Consultant in Public Health, she has held Director posts in Health Authorities in England and Wales and in the Health Protection Agency. Dr Hall has acted as an adviser to the National Institute of Clinical Excellence (NICE) on public health interventions since 2005, and is a member of OFWAT’s Future Regulatory Advisory Panel. She holds a visiting Chair at the University of the West of England. She has not been involved in any political activity in the past five years.